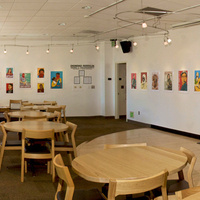 Lounge space adjacent to MCC&#8217;s main office. Stories from Here, There, and Everywhere! Diversity of Arab and Muslim Diasporas in the U.S.